If you are a quality conscious individual and do not mind shelling a few buck extra for the Uniforms then this is the stuff that you must go for. Yarn dyed material – When a fabric is yarn dyed the color is placed in the yarn or threads before weaving as opposed to the color being printed on the fabric after being woven. 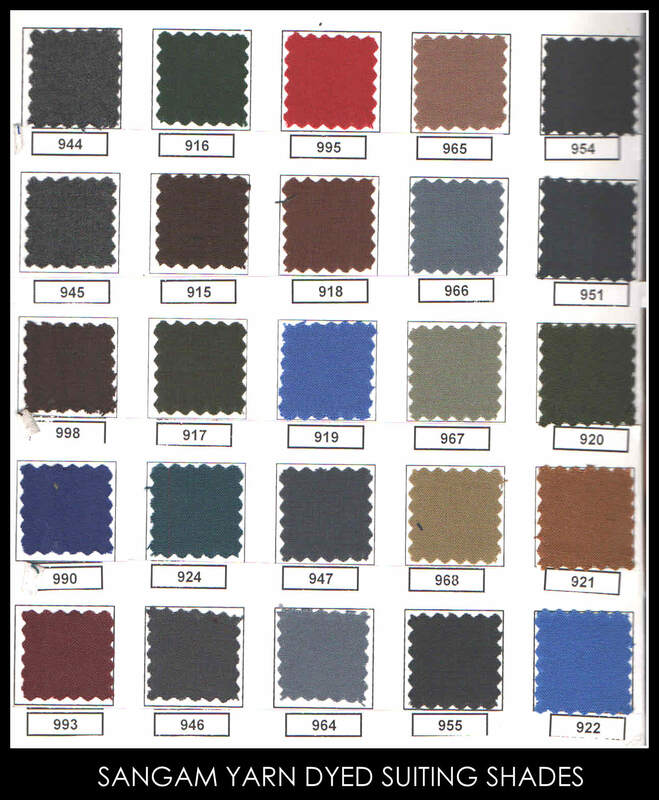 Here we present the different shades of yarn dyed material for Suiting and Overall purpose from one of the most renowned textile group – Sangam (India) Limited. 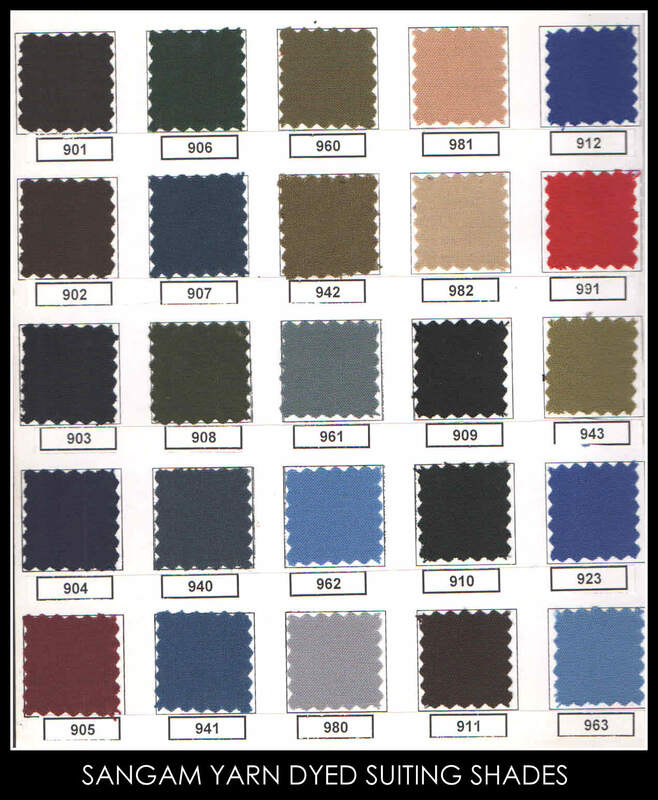 The Uniform material is of Polyester/Viscose blend and the thread used is of 2/30 count. The product is suitable for the tropical climate of Chennai due to its Cotton feel. 1. Industry use – To make Overalls, Maintenance Uniforms for staff, Labour Uniforms. 2. School Use – For making Half pants, Trousers and Pino forms. 3. Corporate use – For making Trousers.